In the old days, Apple computers was part of an isolated world. When you bought an Apple computer, you bought into a world where Apple was at the core of all your computing tools. You bought printers and peripherals solely for use with Apple computers. At some point, a Linux version was developed for the Mac, which along with the popularity of the internet, drove Apple to see that something had to be done about the situation. That type of thinking was strongly caused by Apple founder Steve Jobs. 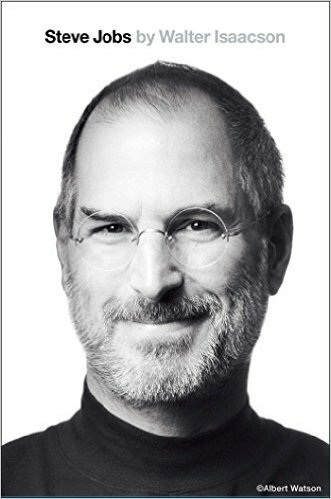 You can read more about him in the biography written by Walter Isaacson. Steve Jobs died at a rather young age due to disease - enough said about that. His legacy was, however, that even though he opened Mac for the technology which was fully compatible in both networks and computing data back and forth with PCs, he still maintained a very 'closed' operating system on Apple Mac computers. Macs were later on based on Intel CPUs which was a big change from the original Motorola chipsets. You could say that there is today far more similarity between the MacOS and Windows, mainly due to Microsoft doing the same thing, Apple did long before. As I mentioned in the first lesson on backwards compatibility, rewriting the code happened in both OS 9 and when OS X came on the scene. Knowing the history is relevant because a thorough understanding requires that we know where people are coming from. In the world of computers, such knowledge lies at the root of building the foundation for working in that field - and also explains why there is such hatred between Apple users and Microsoft. We must remember that Microsoft still supplies an office suite for the Mac format, but other players have come on the market, thus pressuring Microsoft on their income from this niche in their software development plans. Can I Use Mac Without Previous Training? Oh yes. In fact, Mac users will say they have always had the windows-based system. Anyone can use a Mac, and from the user perspective there is no difference between sitting in front of a Windows-based PC or a Mac-based system. In the world of computing, there is ONLY the one issue that you must decide whether you buy a program for the PC or for a Mac. You can't use software you purchased for one digital format on the other format. But you can interchange files without any hindrance whatsoever today. You can format USB-keys etc without any problems. In the next, and final lesson in the Fundamentals of Computing series we will tie up all the knots so you can move on to Advanced level with Thematic articles on Database theory and other subjects where we will move more in depth into the world of programming.